Gorgeous card Sylvie, such a cute image and pretty papers. Love those pretty papers, oh! so! cute image and great design. This is so sweet Sylvie and I love the papers. Wish we were having your weather here in the UK. It is dreadful. What a cute card Sylvie. Love the image and how you gave it dimension. Lovely colours and that d/p matches in so well. Lovely fresh, clean design Sylvie and very cute image. Gorgeous card, so summery and "clean"
Gorgeous paper and a beautiful card. This is so cute! Love your fab papers and layout. This is so very sweet. Love the image and the pretty papers you used. I am awarding you the crown for the Queen of fussy cutting! That is an excellent job. The card is too cute, Sylvie! Look at those mice! Those mice are so cute! Wow, never thought I'd say that! I love the colors you've used too. Thanks for joining us at Freshly Made Sketches this week! 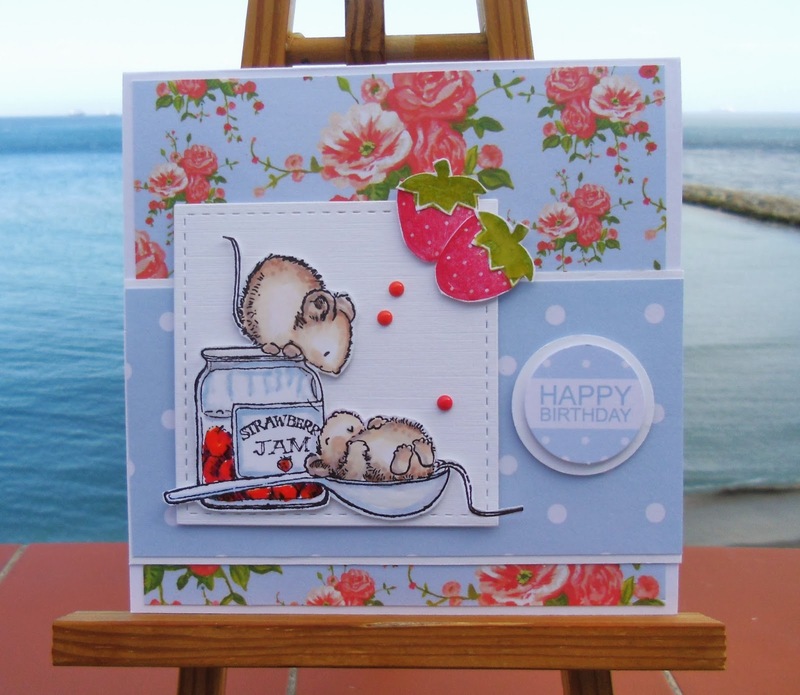 Beautiful card Sylvie, very cute image and gorgeous design. How sweet this is! Such lovely coloring. Glad you joined us this week at FMS!